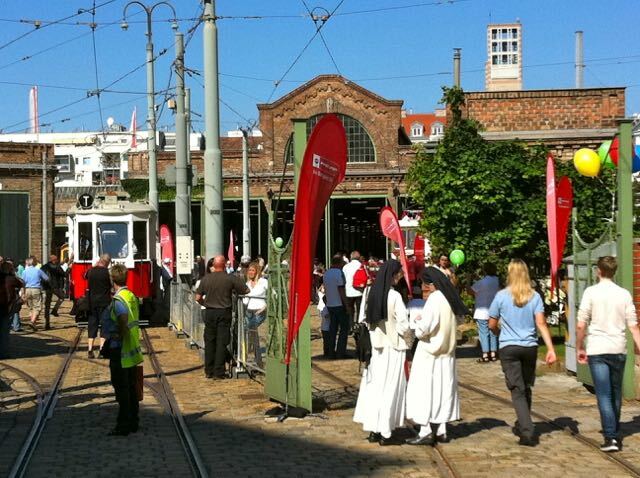 Vienna’s annual Tram Day celebration was held at the Tram Museum this past September. It’s always a great party with lots to see and do. This year was great because the Tram Museum was open for free! Lots of historic vehicles and exhibits on some of the new things Vienna’s public transport company (Wiener Linien) is doing to improve service. 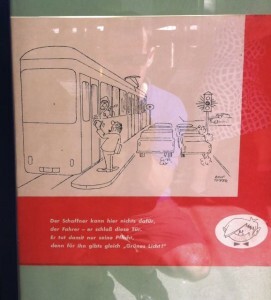 Historic advertisement providing advice to customers, Vienna Tram Museum (2011). I especially liked the historic advertisement about why the conductor cannot open the door once it has been closed (right) – it even rhymes! There was information on everything from the Wiener Linien’s social networking strategy to rebuilding track. With entertainment for the whole family – on at least two different stages! – and lots to eat and drink it was a great day. 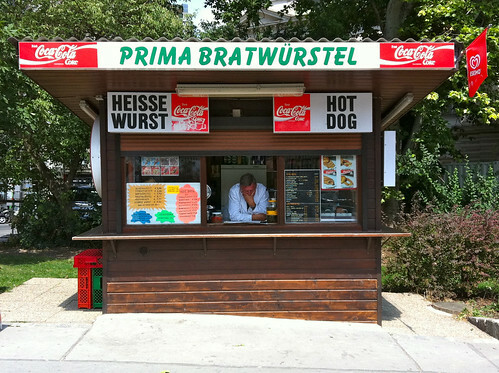 More Vienna Tram Day photos on Flickr (from everyone, including me). Tour de France Brussels 5july2010-07, originally uploaded by andynash. I was in Brussels on Monday for a meeting of the High Speed Regions group. As it happened the Tour de France was traveling through Brussels – a block from our meeting location – on Monday too, so I had time to watch the racers go by. Unfortunately it was right at the start of the day’s race, so the riders were going quite slowly and were all in a pack. Well actually mostly team packs. It was funny because the streets were blocked for hours but the race took about 30 seconds to go by (and, they were going slowly!). Also odd is that there were probably more cars, trucks, motorcycles etc. going by than bikes. 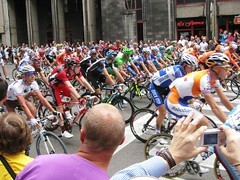 More photos on my flickr photos Tour de France Brussels. 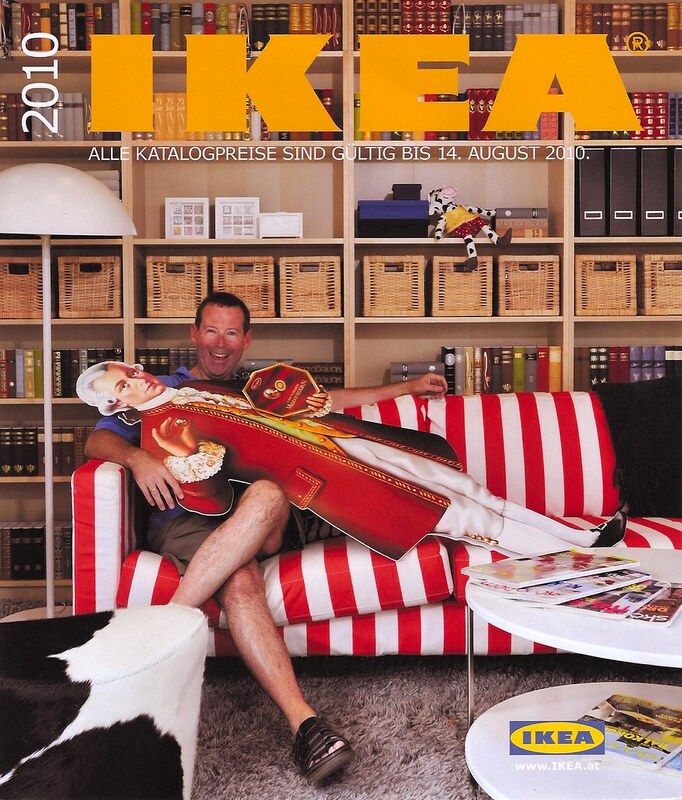 Last fall IKEA set up a truck with their catalog cover furniture minus people at the MuseumsQuartier. Passers-by could have their photo taken in the scene. Thinking quickly I went downstairs into the U-Bahn station and asked to borrow the Mozart Kugel (a type of candy) man. Back upstairs to the photo shoot and now, here it is, two of Vienna’s musical geniuses together on the same stage! Don’t forget to vote for my latest music video: Flowers in your Horns! A little more to the left please! Here’s a photo from my recent visit to Trieste. 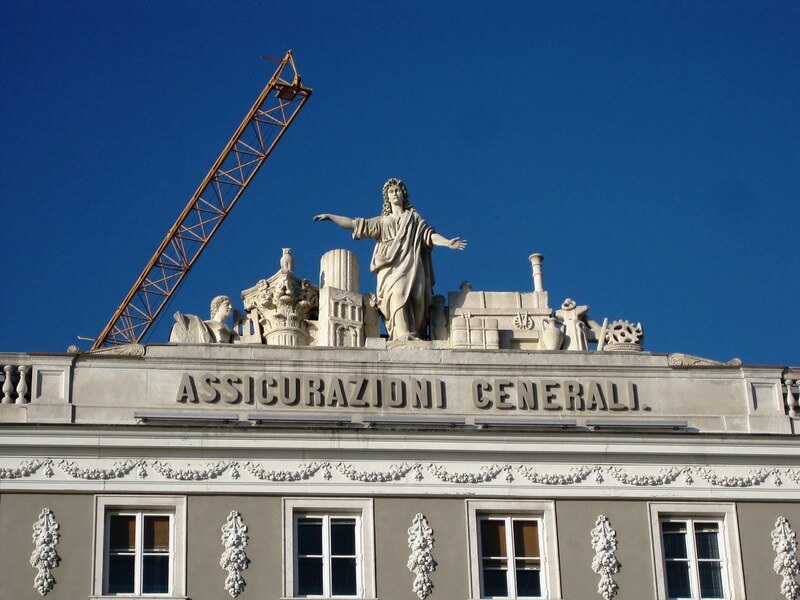 On the Piazza Italia, it looks like the main figure in this statue is directing the crane operator. Well, a little bit. My Trieste flickr photos.